Bentley engineering boss Rolf Frech has confirmed that a smaller SUV than the upcoming Bentayga remains “a possibility”. The prospect is attractive to Bentley not just because of the sales potential, but also because Volkswagen’s new MSB architecture that will underpin both the new Continental GT coupé and Speed 6 sports car is easily adaptable to the format. However, Frech emphasised that no decision has been made yet and, even if it were, it might result “in a different kind of car”. It is not clear what he was alluding to, but a crossover SUV in a similar vein to the wildly successful BMW X6 is a clear possibility. Company chairman and CEO Wolfgang Dürheimer has already revealed his enthusiasm for the SUV market, which he said is “expanding three times faster than the market as a whole”. 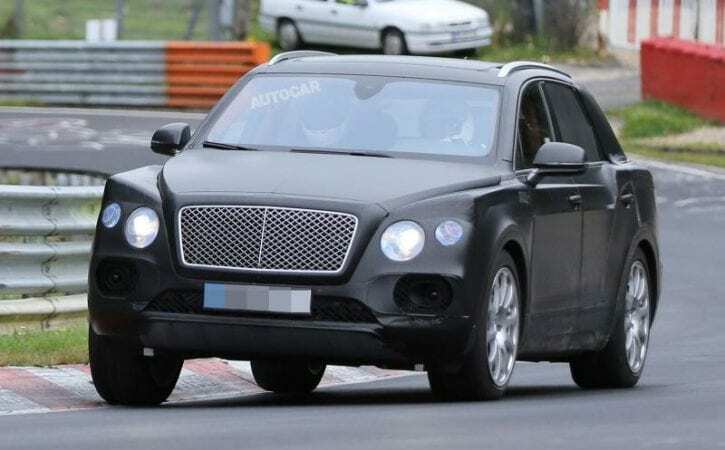 Previous predictions of annual sales of 3000 for the full-size Bentayga SUV “could be conservative” said Dürheimer, who is working towards building 20,000 cars a year at Crewe by 2020. The company says it already has 4000 serious “expressions of interest” in the big SUV, which is yet to be seen by customers. To reach its aggressive production targets, Bentley will spend £280m this year on building a new R&D centre, across the road from its traditional Pyms Lane site, and add 300 new jobs to its workforce, making 1300 in all. By 2016 total expenditure to ensure that capacity at Crewe “is no longer an issue” will amount to £840 million, Dürheimer said.